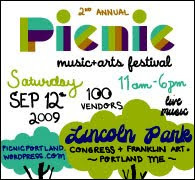 Three Graces has a booth at Picnic tomorrow! Come one, come all! 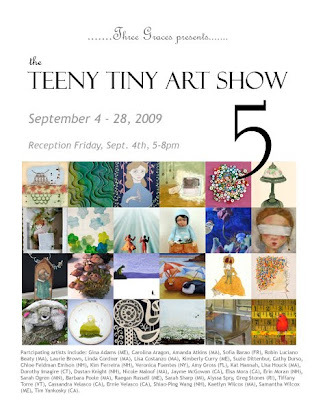 this show is amazing, I am so excited to have so many amazing artists to work with, unfortunately there is so much that still needs to be done between now and the opening tomorrow night, that I don't have time to go into the details...however, you can check out the Teeny Tiny Art Blog which features pictures and interviews with many of the participating artists and will continue to do so thru the month! See you on friday, the opening reception is from 5 to 8pm -- and for those of you who can't make it, the online shop will be launched Friday afternoon!